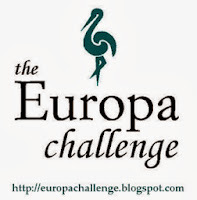 For the past five years now I've run the Europa Challenge, a blogging challenge for bloggers who incorporate books published by Europa Editions into their reading and reviewing. At the end of this year I'm wrapping it up. 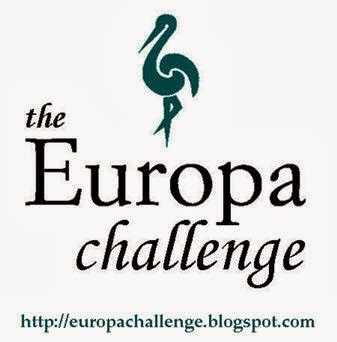 The URL is europachallenge.blogspot.com. I'm ending the Challenge due to diminishing participation. At our height we had posts going up almost every week; now we're down to maybe one or two a month, just me and one other person, and mostly just me. So it's time to go. But we've had a lot of fun in five years. Here are some fun facts and statistics about the challenge. Readers enjoy the plots, characters, writing and social messages in the books, and the books are like potato chips- you can't read just one. Once you get hooked on the brand, you're hooked. A few years ago Europa launched their World Noir initiative which rebranded their international crime line and moved them to the mystery section of the bookstore. That helped bring a whole new set of readers to the brand and expand their reach even further. Their crime novels have always been favorites of mine and it was great to see this change. For most people the "gateway book" was Muriel Barbery's The Elegance of the Hedgehog, but I'll bet the recent success of Elena Ferrante's Neapolitan Quartet will change that and more readers will come to the brand through those very successful books. Personal highlights for me include the friendships I've made through the blog, and my two visits to the Europa Editions office in NYC and one to their headquarters in Rome, where I got to meet company founders Sandro and Sandra Ferri. I will leave the blog up indefinitely and if any past participant wants to take over the challenge, just email me and we'll talk. I will start going through posts and closing them off for new comments though. So thanks to all the readers and bloggers who contributed, and thanks to Michael Reynolds and everyone at Europa Editions who's been so supportive of the blog for the past five years!